They’re open to life, even to the point of being criticized for having “more children than they can afford.” They’ve got seven kids and a home of chaotic family togetherness. They may only be able to afford secondhand robes and used school books, but they give their children a home of life and love. One might even call their childhood…magical. They practice Catholic hospitality. Their home always seems to be a haven for the marginalized: orphans, half giants, you name it. If someone needs a home cooked meal, Molly Weasley’s on it. Their generosity requires sacrifice because they don’t have two pennies to rub together, but they always welcome anyone who needs a seat at their table. Corporal works of mercy? The Weasley’s have them covered. They bury the dead. RIP Mad Eye. They feed the hungry. Especially when the hungry is Harry who’s being slowly starved by the Dursleys. They give drink to the thirsty. Remember when Molly has Tonks over to tea when she’s super depressed? 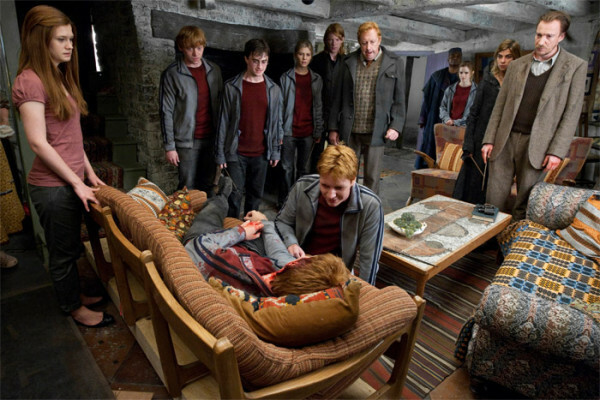 So it’s not just physical thirst they aim to quench, either, the Weasleys are all about comforting the heartsick. They visit the imprisoned. Think Book 2 when Uncle Vernon traps Harry on Privet Drive and puts bars on the windows–which Fred, George, and Ron pry off with a little help from the flying Ford Anglia. They comfort the sick. Molly Weasley finds herself sitting next to many a hospital bed. They shelter all kinds of folks at the Burrow and at Grimmauld Place. And Molly has mad knitting skills to clothe your favorite naked orphan. Ok, so he wasn’t NAKED but he was wearing Dudley’s old hand-me-downs…close enough, right? They’ve all got red hair. We’re talking big Irish Catholic family, right? They keep chickens, they’ve got a garden. They mend and reuse instead of tossing and purchasing. It’s like they’ve got Laudato Si written all over them. 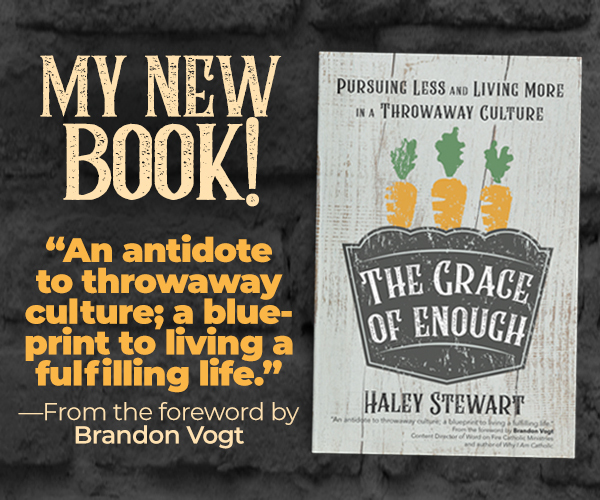 No throwaway culture here, Pope Francis! No sir. They pass on Christian virtues to their children. Who befriends that awkward friendless orphan? Ron. Who stands up for the weird, some might say “loony” girl in class? Ginny. Raise ‘em right. So there you have it. While Rowling never says our favorite red heads are Catholic, I love how they model Christian virtue. 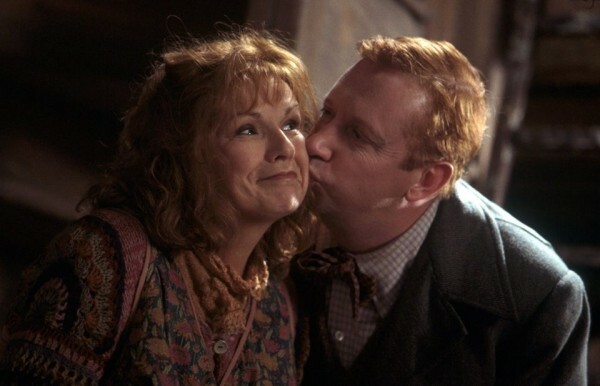 And I admit to having many moments as a young mother wondering “What would Molly do?” The Weasleys are not perfect, but they show courage, hospitality, and charity in a way that inspires me to nurture those virtues in my own family. I’ll just keep thinking of them as fellow Catholics. Yesssss! 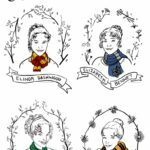 You always seem to take my two favorite things — Christianity and Harry Potter — and tie them together in the most perfect ways. Haha! Thank you for this! Awesome! And thank you for mentioning the Bl. Thomas Percy. I LOVE the name Percy and I was feeling kinda sad that there wasn’t a saint with that name because I totally would consider naming a baby Percy. Now I can add it to our (huge) name lists in good conscious. Saints names are so fun! Unless you’re like me and some of your favorite saints have names that absolutely wouldn’t work for babies … Athanasius, anyone?? Oh my goodness, I love this post! 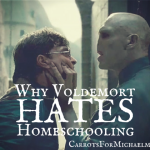 There are way too many christian blogs out there bashing Harry Potter, but I’ve always loved the series. It’s SO nice seeing all the Christian and Catholic values portrayed in the series! Another addition to #4: Percy’s middle name is Ignatius. Definitely Catholic! “It’s like they’ve got Laudato Si written all over them.” YES! 🙂 This is excellent. I’ve felt an affinity for Molly as well. I pray Christians today might pick up on that old #catacomb spirit. There’s lots of work to do! 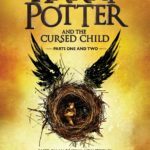 As a very recent convert to HP (watched all the movies in preparation to take my daughter to Universal for her birthday in December, then decided to read the books, too, which I finished in 11 days with only a few hours to spare before we left), I thought they seemed Catholic from the first movie, reinforced by the books! 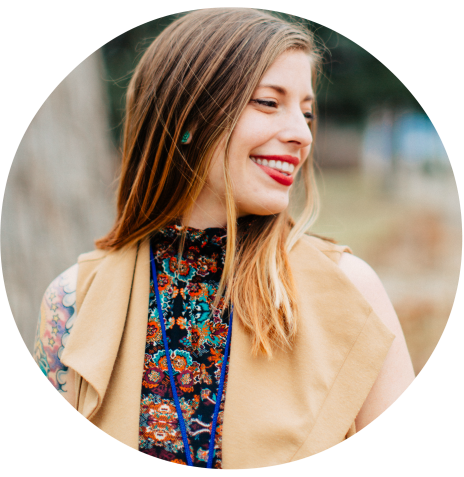 Your post gives clarity to a mushy idea that’s been flying around in my head for the past month. 11 days! That’s so fun! 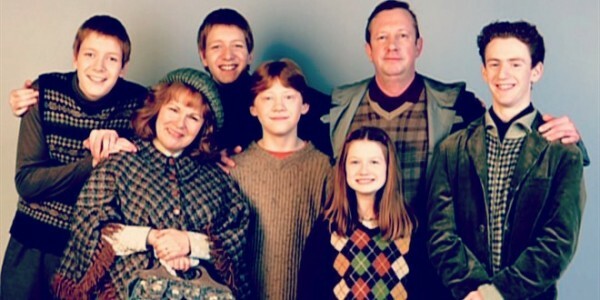 I too think the Weasley Family are a nod to British Catholics. JK Rowling said she gave them characteristics in British society that are looked down upon: last name related to weasels and red hair. I would not be surprised if large poor Catholic family was also in the back of her mind since in British society for a long time British Catholics were often despised despite being good people. JK has a history with dealing with the persecuted and it would be clever to have a family who is not persecuted but more subtly ostracized in other ways. Also I remember doing sort of a “Hummm….maybe?” when I saw that Percy’s middle name was Ignatius. The rest of the names, as others have pointed out, are royal-type names. King Arthur. Ronald means “ruler’s council”. and so on. But the middle name left me wondering…. I was rewatching the first movie last night! I was thinking this also bc of how they are disdained by the British aristocrat characters. It screams Irish catholic! I’m so glad I’m not the only one who thought about this! 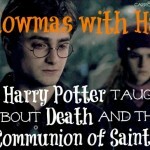 How Harry Cast His Spell by John Granger points out all kinds of other Christian imagery in the HP series. I found myself re-reading with an entirely different lens. Loved this post! I think that they left off a pertinent fact, as this stretching of the facts goes. They also follow the practice of a just war. Not fighting until they have no other cause, then making damned sure they don’t have to fight that battle again. This is beautiful! I’ve always loved the Weasleys so much, and I guess this is why, lol! So true, I just always assumed they were Catholic, I never realized it wasn’t ever stated in the books. My husband is on the epilogue of the last book. Can you believe he never read them when he was growing up?! He will be delighted by this article. I am adding it to my articles I have open on the computer for him to read when he gets home. Everyone has a computer full of open tabs to share with their husband when he gets home everyday, right? Thanks for taking the time to put together this post!! I love it!! As I read the books I did identify the Weasleys as Irish Catholic and Harry’s guardians as milk toast Anglicans. Don’t know why. I also enjoy the fact that Mark Williams (Arthur Weasley in the films) now plays Fr. Brown in BBC’s new version of the Fr. Brow Mysteries. Just another Catholic link! Holy cow. I never thought of this, but you are totally right! You are a literary genius! I’m actually reading the “Life, Death and Resurrection of Harry Potter” right now. Haven’t finished it yet, but the author does such a good job of pointing out the Christian elements in Rowling’s stories. It’s a good read and it amazes me to see how the beautifully re-telling of the story of Our Lord Jesus Christ can capture the minds and hearts of so many. I loved this! So great. A little light reading to make me smile when it’s been raining all day AND I’ve been nauseated and tired all day. This is so wonderful, and addresses what I’ve thought of the Weasleys for years. Coming from a huge Catholic family myself (I’m the oldest of 8), I related to them on a level so deep it was scary. In it’s own small way, reading about the Weasleys really helped me appreciate and accept the quirks of being in a large family. 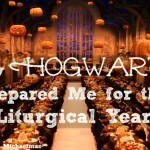 As a Catholic convert, mother of 10 and crazy Harry Potter lady I love this! 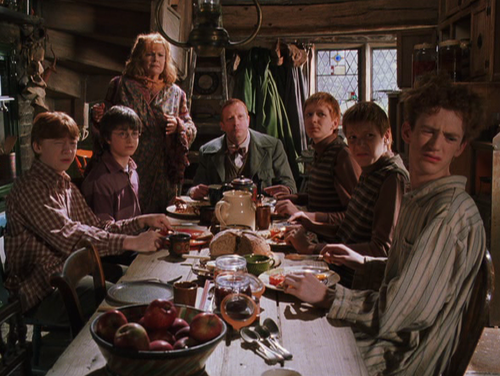 We love The Weasley family and can relate to them in a lot of ways. Of course they are a big crazy Irish Catholic family! You pointed out much of the ‘evidence’ !! Yup. I’ve always thought so, too. Perfect post. Great post Haley and a great idea! Have you tweeted it to JK Rowling ? This is so funny! I told my daughter, who LOVES Harry Potter and the Weasleys, the same thing! I can’t wait to show her this post! I don’t really care if JK Rowling intended it, she hit the nail on the head and it is oh so nice to have a positive depiction of a Catholic family in media today! 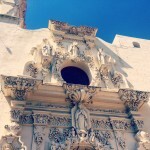 This is the first entry in your blog I have ever read (clicked over from A Knotted Life) and I rarely comment on posts. However I had to comment on this because I love, love, love it. I always thought the Weasley family was Catholic and I always saw the Christian symbolism in the books. A few days ago I read something about Saint Severus and it made me wonder if Snape (my most favorite character with Molly as number two) was Catholic too. I feel exactly the same. My kids and I noticed the similarities right away. Being both Christian and from a big family(youngest of 7), I related very closely to the Weasleys which made the books seem personal. I was very hesitant to allow my children to read them at first due to the “witchcraft” angle, but since they were so popular I decid d to read one first before passing judgement. Obviously I was pleasantly surprised and our whole family loves the series so much we’ve actually had to buy two sets. It’s nice to see others feeling the same. Thanks for the post and to all who are commenting. Kudos from rural Alaska! Hang on–so Percy’s middle name is Ignatius, and St. Ignatius of Loyola’s feast day is on July 31st–JK Rowling’s birthday (and Harry Potter’s). She doubtlessly knew that! Ten years later and that woman is still messing with my head! And I don’t know how I’ve missed out on your Harry Potter posts until now . . . I’m loving it!